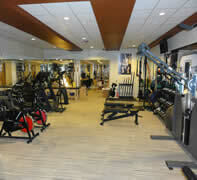 Our fitness area is managed by Altitude Body Performance Center. Guests have complete access to this great facility by using your room key. In addition to a treadmill, stair climber, elliptical machine, spinning bikes, free weights, and Nautilus machines, you may request appointments for personal training, massage, Pilates, and Gyrotonic workouts through the Altitude staff. 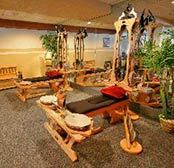 Please contact Altitude for information on scheduling some of these special services while you’re staying with us at www.trainataltitude.com or 970-925-3555 or by calling the front desk. Note: Massages and Training must be booked at least 24 hours in advance.